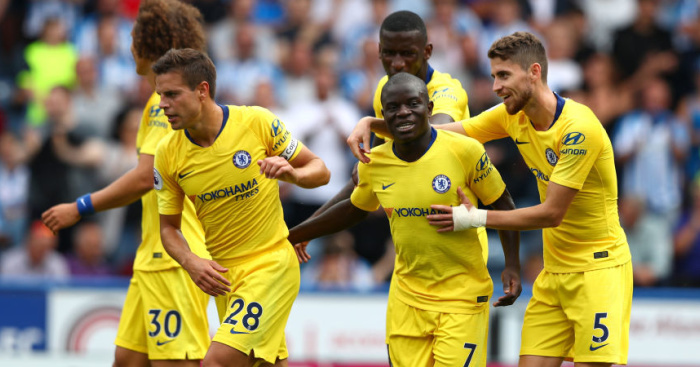 N’Golo Kante, Jorginho and Pedro were all on the scoresheet as Chelsea begun the Maurizio Sarri era with a deserved 3-0 success at Huddersfield Town. 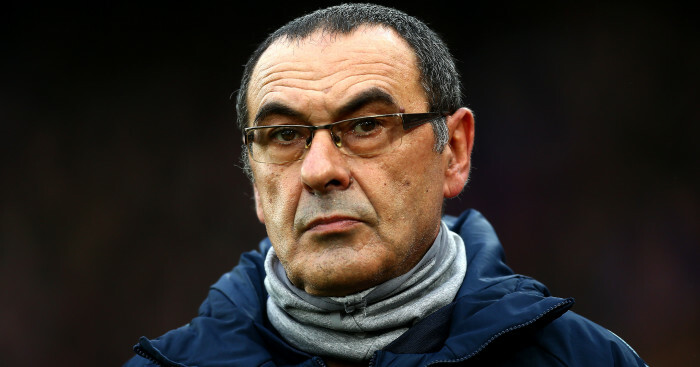 Former Napoli boss Maurizio Sarri said he is expecting a rough early ride in the Chelsea hot-seat, but an fears of any opening day upset were quickly allayed. 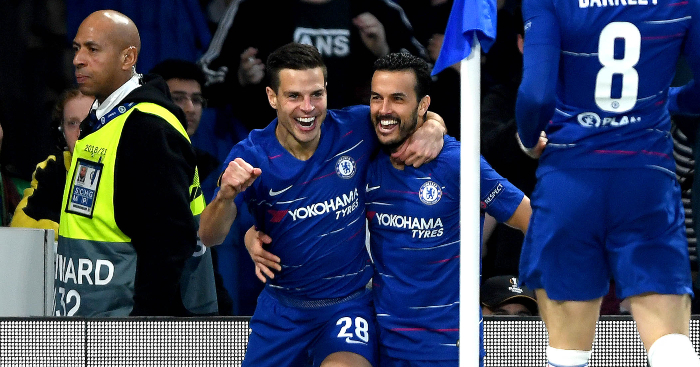 World Cup winner Kante’s scruffy 34th-minute volley and Jorginho’s audacious penalty on the stroke of half-time put Chelsea in control before Pedro wrapped up the points in the closing stages. 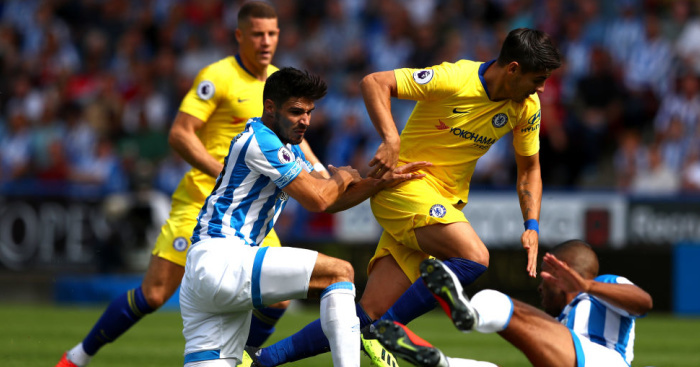 Kepa, signed from Atheltic Bilbao for £72.1million on Thursday, had little to do for the opening 20 minutes as Chelsea hogged the ball, but made a hash of an early touch when he passed straight to Town midfielder Aaron Mooy. At the other end, Huddersfield’s debutant goalkeeper Ben Hamer, signed on a free transfer from Leicester, made a nervous start, twice putting the home side under pressure with misplaced passes from his penalty area. 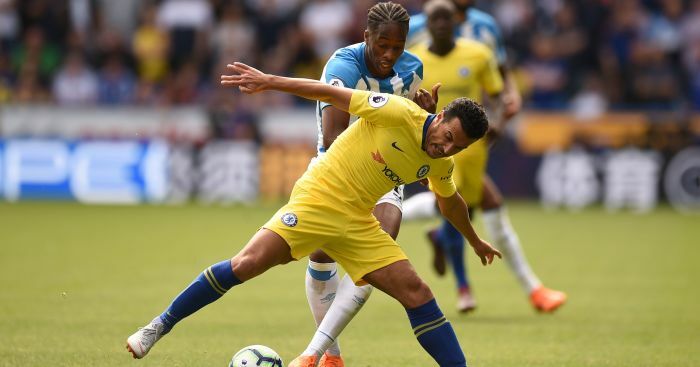 Huddersfield enjoyed more possession towards the half-hour mark as Steve Mounie’s rising effort cleared the crossbar and a series of crosses from Town left-back Chris Lowe tested Chelsea’s defence. 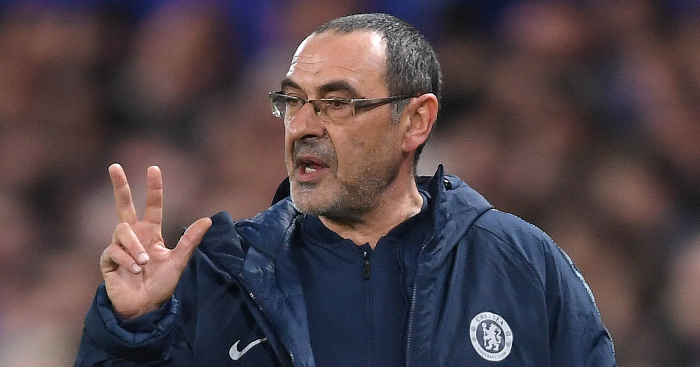 But Chelsea took the lead in the 34th-minute. Willian’s delivery from the left evaded Huddersfield’s cover and Kante’s mistimed volley span into the ground and inside the far post. But the Terriers were dealt a hammer blow in the 44th minute when referee Chris Kavanagh awarded the visitors a controversial penalty. 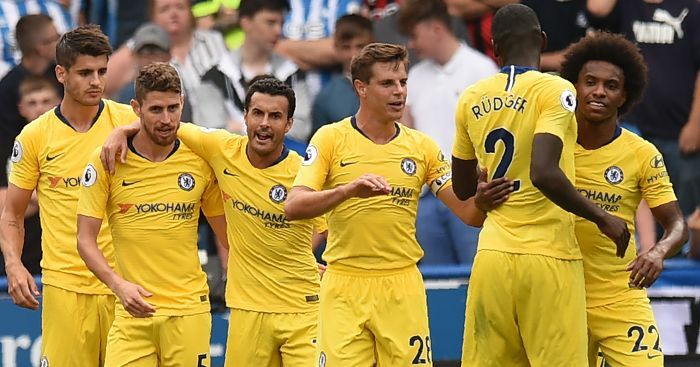 Antonio Rudiger’s header from Willian’s corner was well saved by Hamer, low down to his left, and Alonso’s acrobatic volley from another set-piece soon after clipped the crossbar. Referee Kavanagh further incensed Town fans when failing to see Kepa had clearly pushed Philip Billing’s 73rd-minute header over the target when awarding a goalkick instead of a corner. 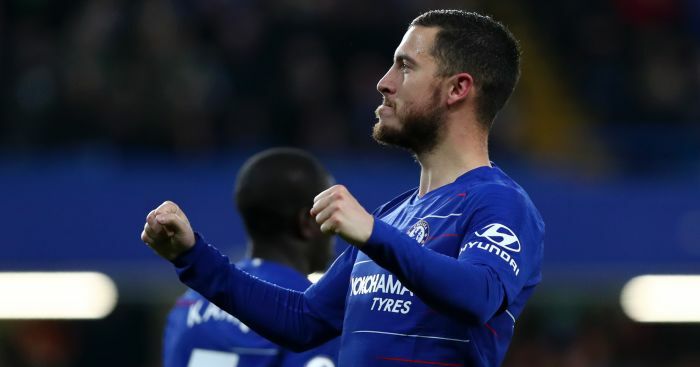 Hazard sliced through Huddersfield’s defence down the middle before setting up Pedro, who drove home a low angled shot into the bottom corner.